Wilson Dam is on the Tennessee River in northwest Alabama. 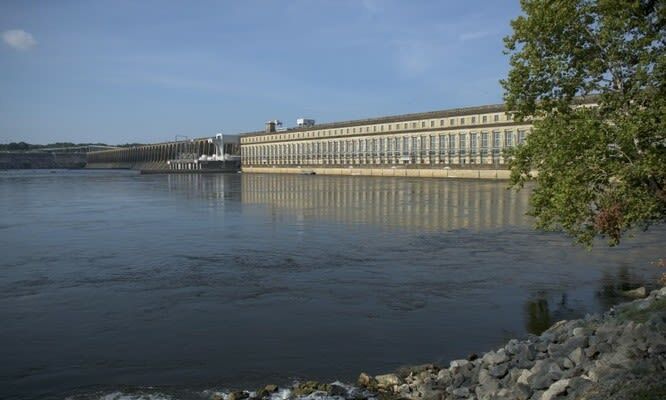 It is the only neoclassical-style dam in the TVA system, integrating themes of ancient Roman and Greek architecture into the modern structure. It has 21 generating units with a net dependable capacity of 663 megawatts. The construction of Wilson Dam began in 1918, a year after the United States entered World War I. 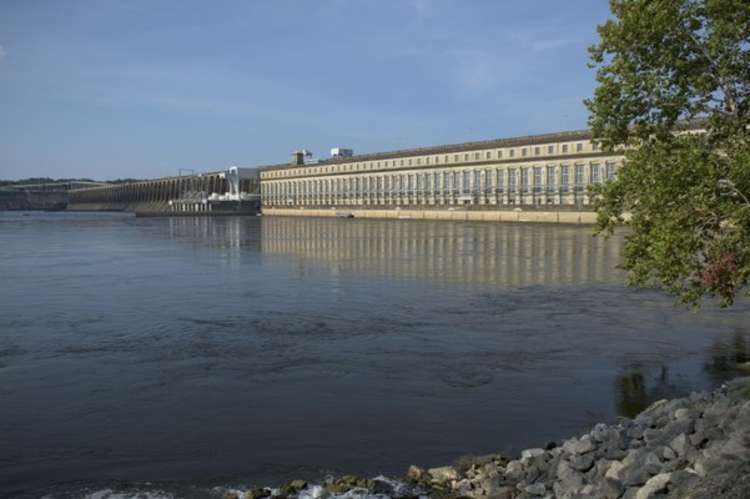 The federal government built two nitrate plants at Muscle Shoals for production of explosives, and Wilson Dam was constructed to supply the electricity needed to power the plants. TVA acquired Wilson Dam in 1933. For more information about TVA dams visit https://www.tva.gov/Energy/Our-Power-System/Hydroelectric. TVA is a corporate agency of the United States, it receives no taxpayer funding, deriving virtually all of its revenues from sales of electricity to business customers and local power distributors serving 9 million people in parts of seven southeastern states. But TVA is much more than a power company. Through its mission of service, the Tennessee Valley Authority improves the quality of life by providing safe, clean, reliable and affordable electricity; supporting communities through economic development; and carrying out environmental stewardship programs to ensure we all have a beautiful, unique place to live for generations.